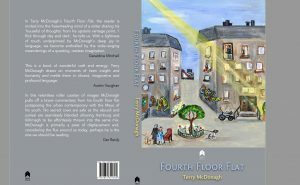 In Terry McDonagh’s Fourth Floor Flat: 44 Cantos, the reader is invited into the freewheeling mind of a writer sharing his ‘houseful of thoughts’ from his upstairs vantage point. ‘I flick through day and dark’, he tells us. 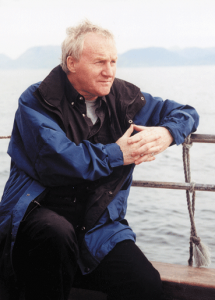 With a lightness of touch underpinned by McDonagh’s deep joy in language, we become enthralled by the wide-ranging meanderings of a questing, restless imagination – Geraldine Mitchell, poet.